Mr. Turtletaub handles removal (deportation) and family based immigration cases for clients throughout the United States and abroad. His practice has focused mainly on immigration law since the start of his legal career in 1988. He opened his office in Charlotte, NC in 2002 after being based in Miami, Florida for 15 years. In Miami, he appeared before the Immigration Court and the former Immigration and Naturalization Service on a daily basis representing clients fleeing from the civil wars, narcotics violence, and communist dictatorships that engulfed Central and South America and the Caribbean regions during the 1980’s and 1990’s. Now in Charlotte, Mr. Turtletaub regularly appears before the local immigration court, USCIS and USICE offices in North and South Carolina. He undertakes all matters connected with family and removal based cases including waivers, appeals, and motions to reopen with the Board of Immigration Appeals and the Administrative Appeals Office. In addition, a significant share of his practice involves the processing of immigrant visa petitions with the National Visa Center and U.S. consulates. Mr. Turtletaub obtained his law degree from the California Western School of Law located in San Diego, California in January 1988. 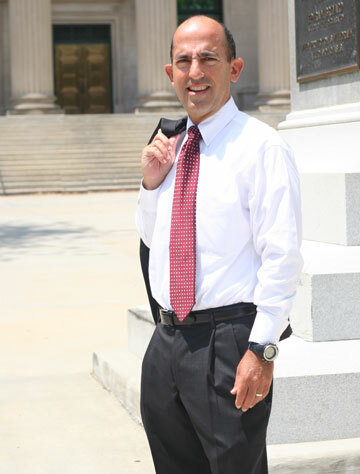 During law school, he did a clinical internship with a well-known immigration attorney in San Diego that started his career in immigration law. Mr. Turtletaub has been a member of the American Immigration Lawyers Association since 1991. During his 23 year career, his practice has adapted to the many changes that have occurred in the area of immigration law. Mr. Turtletaub’s primary goal has always been to provide honest and “no nonsense” representation at a reasonable cost to the immigrant community.